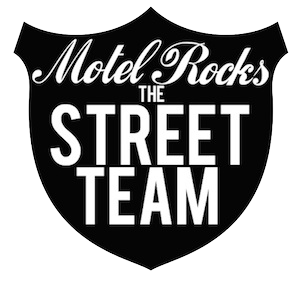 I am posting to let you know that as of this week, the Street Team will be closing its doors to make way for an exciting new Motel project. 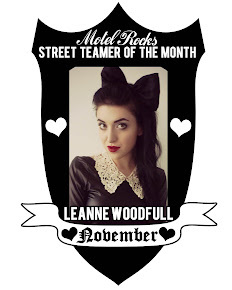 On behalf of myself and the entire Motel team, we want to say an absolutely MASSIVE thank-you for all of your hard work and involvement with the Street Team. We have loved seeing and hearing all of the awesome promotions that you have conducted and whilst we’re saying goodbye to the Street Team, we have a really exciting new project to announce in due course. Your credit that you have earned will remain in your Motel account to spend at your leisure and do stay tuned for further emails from me regarding all our fun Motel activity and happenings and a VERY exciting new project coming soon! We are also keeping your discount code live for your own personal use, so you can get 20% off your Motel purchases. We've teamed up with Yahoo to offer you all the opportunity of a lifetime. Fancy yourself as a bit of a Louise Roe or Olivia Palermo? 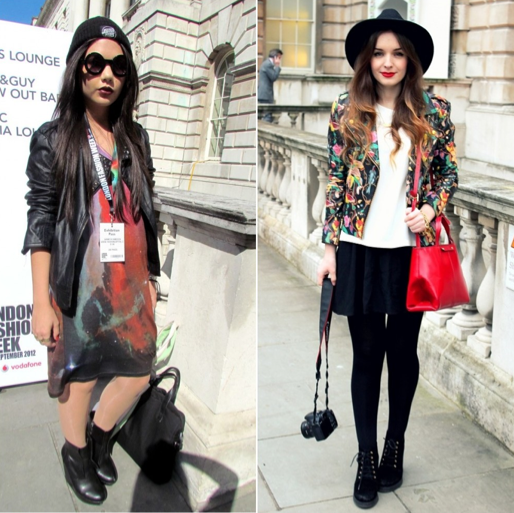 We're on the hunt for a fashion savvy blogger to report live from London Fashion Week this September. 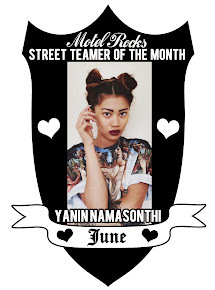 Our lucky winner will be hooked up with new and fresh Motel Rocks threads to rival the Fashionista's on the Front Row. You'll spend the Weekend hitting all the best shows and discussing all the latest trends. Could you be the next big thing in fashion reporting?! Fashion journalism is how both Louise Roe (British Fashion expert now with her own TV show - Plain Jane) and Olivia Palermo (one of the world's most photographed style icons of this generation) began their careers. Our lucky Motel Loving winner will be hitting up London Fashion Week (12th - 14th September), attending shows on both the Saturday and Sunday to report back on-camera to Yahoo Lifestyle with all the latest Autumn/Winter Fashion and Beauty Trends. Travel, Hotel and Basic food expenses are also covered. Email thenextstar@yahoo-inc.com with your Name, Age, Location and a link to your Blog. A shortlist will be created for each category by a panel of judges, and voting will commence on Monday 18th August and will close on Friday 29th. Can't wait to see all your entries. Good Luck Gals!! Hey gals! Hope everyone is enjoying the summer sunshine, because we certainly are! Last week we hosted a special 2 day Motel Vintage Pop Up Shop in London and had an exclusive preview ahead of the launch and wanted to share some insider info and pics with you all! 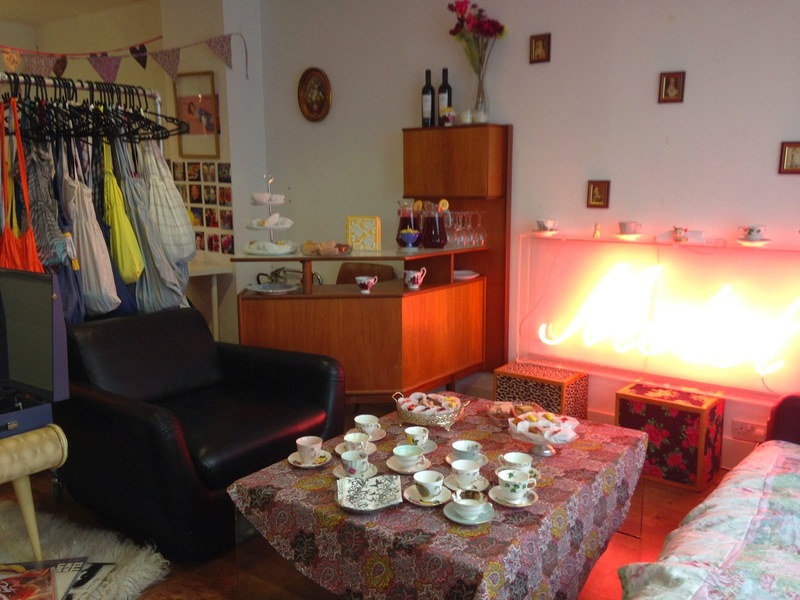 The Motel Vintage Pop Up preview was held in our London HQ which was converted into a retro vintage den for the night with cute tea cups, a 1970's vintage bar and a pretty awesome record player spinning some tunes. The lovely girls from Rockalily Cuts were on hand to create 1950's hair do's for guests with impressive up-do's and glam victory rolls. We also had the lovely team from The Vintage Cosmetics Company showcasing their new range of accessories and beauty products and offering fluttery false eyelashes by their professional make-up artist. A party isn't a party without some sweet treats right?! Our local cake-making friends, Masters, made us some delicious sweet snacks to nibble on though out the evening, from the infamous cronuts to the one-is-never-enough chocolate brownies, we definitely indulged for the night! All the snacks and drinks were presented in cute vintage tea cups and plates courtesy of The Vintage Sisters which we wanted to keep and take home with us!! If you haven’t heard about the jewellery brand Gogo Philip then you have definitely been missing out. They sell bold statement jewellery pieces that can make any look turn up! 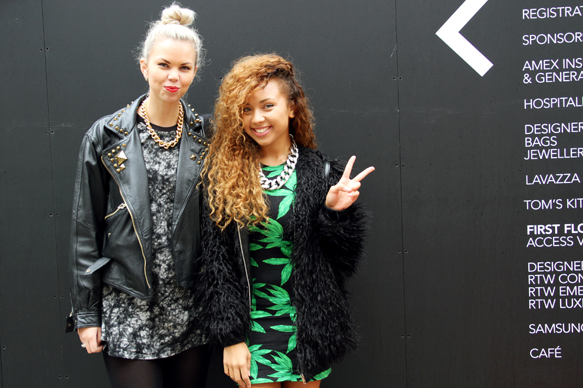 Their key style is gold plated jewellery inspired by 90's and urban culture with a modern twist. 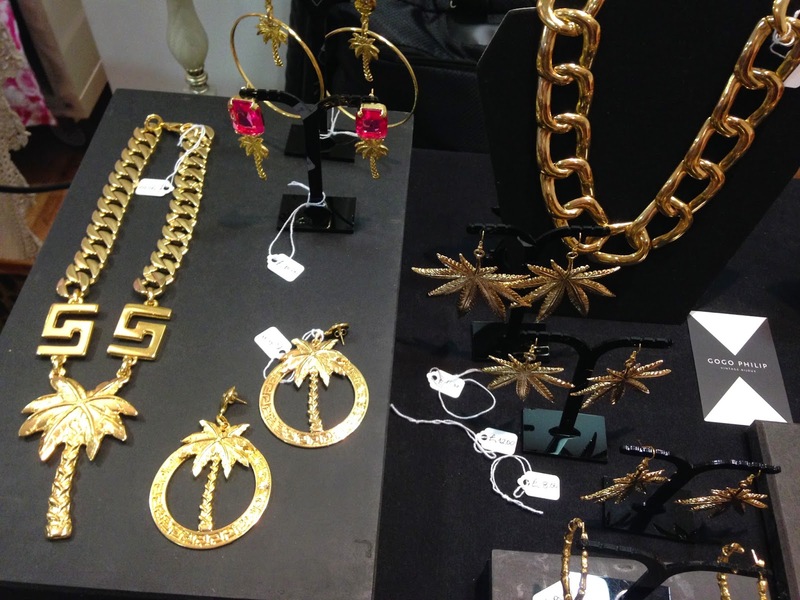 (Think Salt-n-Pepa huge hoop earrings) and they were also selling some of their latest styles at the Pop Up shop. Our Motel Vintage collection has a mixture of different styles with inspiration from 80's and 90's culture and all reworked from original vintage garments. There were iconic Levi jeans showcased as well as floral shirts, pinafores and 2 piece bralett and shorts sets. A favourite was the PE style shorts and Adidas cardigans which was a big craze in the 80s. Guests were also going crazy for our cute 50's style cropped tie front shirts, which are available online now at Motelrocks.com too! 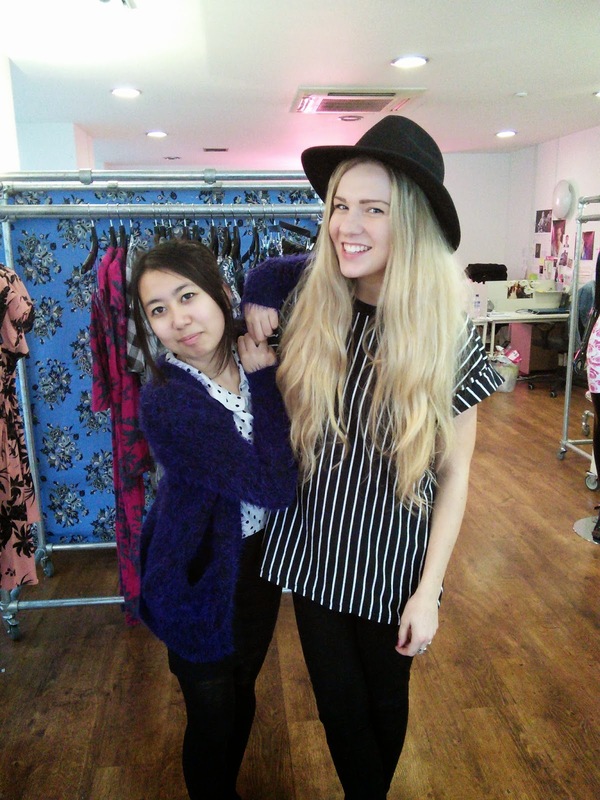 It's been a super busy week here at Motel HQ as last week we held our spring sample sale in our London showroom. Thanks to everyone that came down and picked up a bargain, and a massive thank you to all the awesome street teamers who helped out – we couldn’t have run it without you! 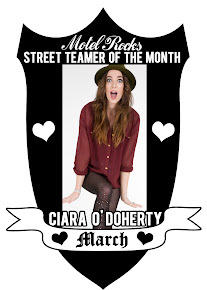 So gals, what do you like about being in the Street Team? 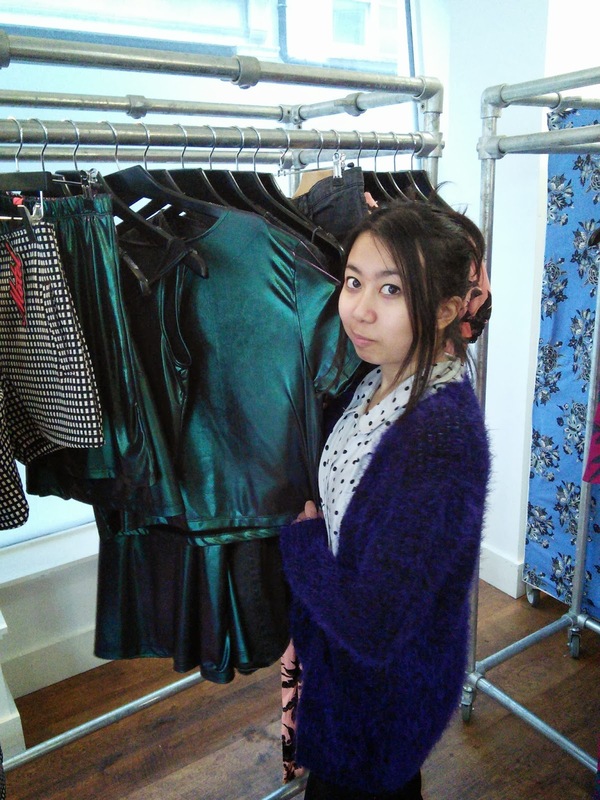 Philippa: I get to hear about all the latest new clothes before everyone else. Getting to be part of fun events and have exclusive offers and credit to spend at Motel is great! 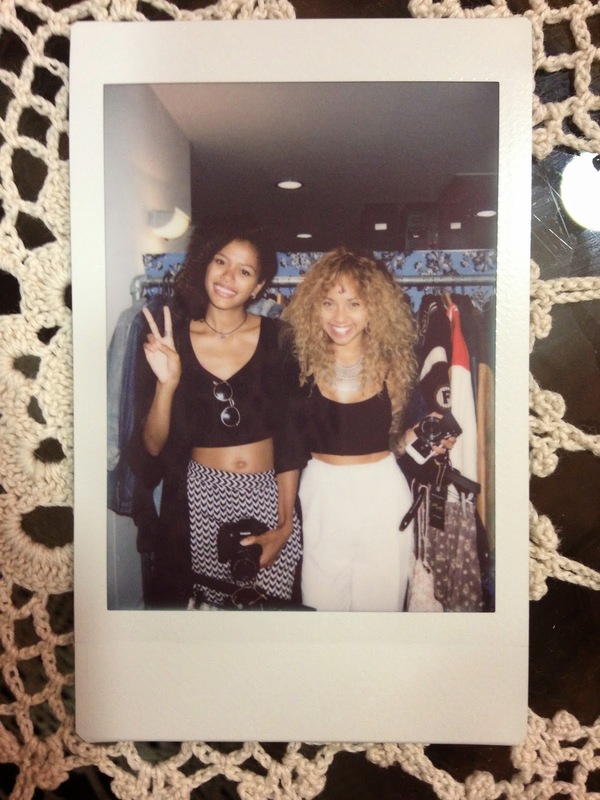 Elysia: Getting to know about the brand, having an insight into what happens at Motel. I really enjoy attending events and e-meet other bloggers and Street Teamers on the Facebook page. Well we're glad you love Motel as much as we do! Tell us, what's your favourite thing about Motel? P: The variety, there's so many things for different occasions; you can fill a whole wardrobe with just Motel! E: I find Motel very unique. They do a wide range of prints that you don't see from other brands. I also love how they communicate with their customers. Motel are always there to help! That's what we like to hear! 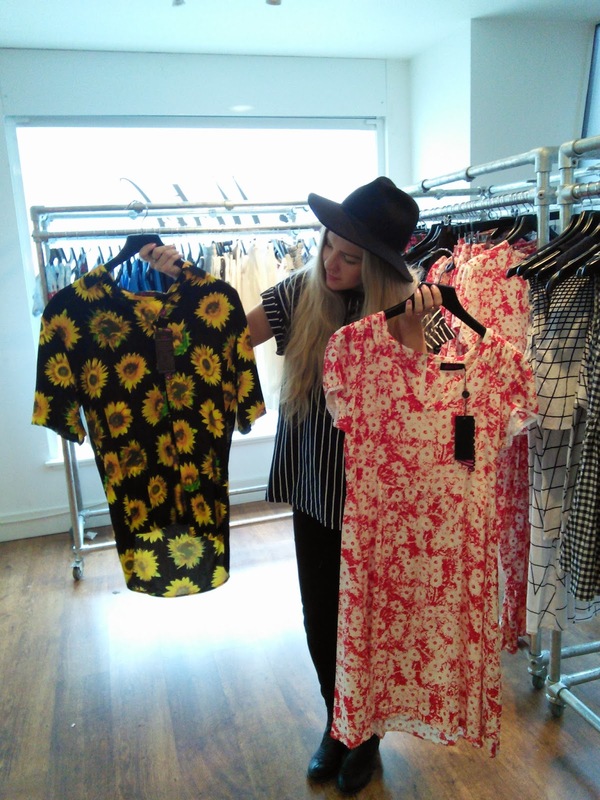 You girls had a sneaky peek at our forthcoming summer collection whilst you were in the showroom too – what did you think? 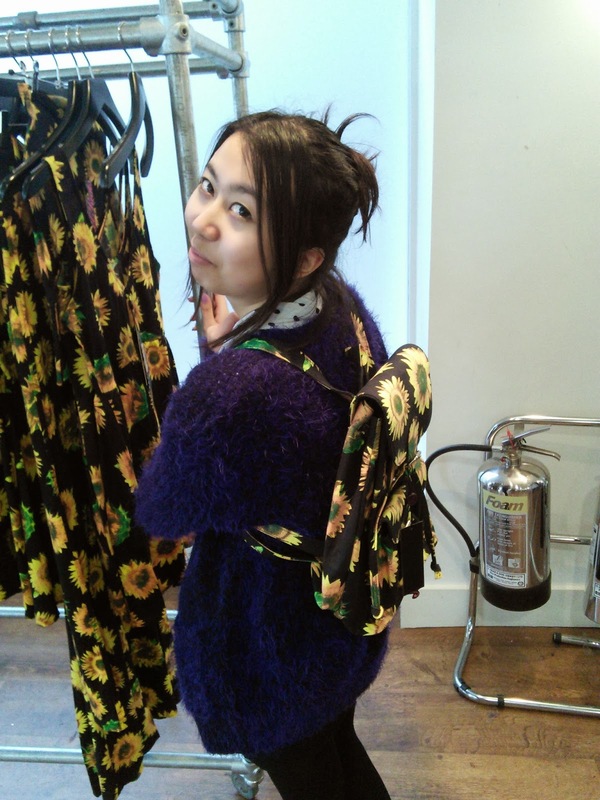 E: I love it; there are so many pieces that I want, but I love the new sunflowers print. It’ll be great for summer. P: I've kinda the same, loving the Sun Moon and Starts print and the Oriental Dragon! Can't choose just one, I love them both! Now we know what you love about Motel already, what would be like to see more of at Motel or in the Street Team? 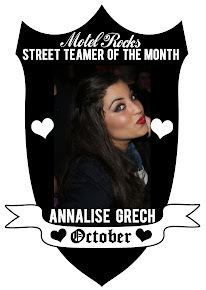 P: I would say, more frequent updates on the Street Team Facebook and Twitter pages and more Street Team only events. I would really like to see an actual Motel store. Where you can look at all the prints and try them on. E: Maybe an event to meet other Street Teamers would be good, a chance to network and make links with the fashion industry. I would also like to see Motel getting more involved at universities. 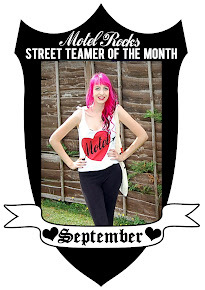 Collaborating with bloggers and spreading the Motel love! 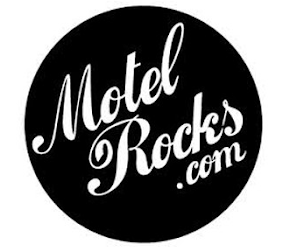 Remember to check out the Facebook and Twitter pages to see what’s new with Motel! 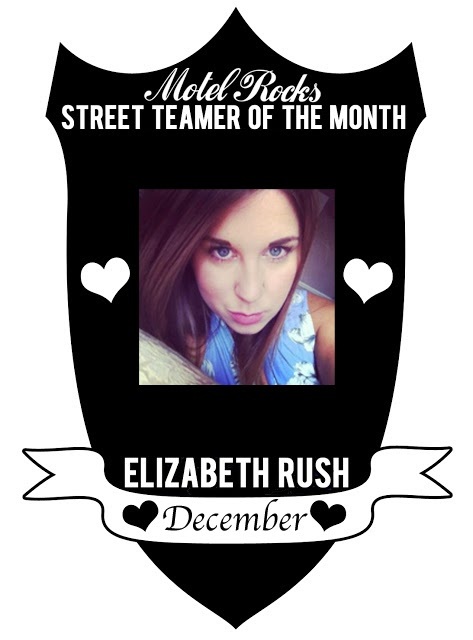 December Street Teamer of the Month…Elizabeth Rush! I am a full time working mummy with a huge passion for being 'fashionable' still haha! I currently run my own childrens clothing business called Little Fox Boutique as well as working for a University! What inspires your fashion style/your fave type of thing to wear? I am hugely inspired by my students at work! Im only 26 and love to see what prints and styles students around me are wearing to keep up to date with current trends! I use my Motel street team commision to buy my work attire and today at work I am wearing the tartan print shift dress teamed with tights and heels! I live in dresses and tartan and monochrome is still a huge part of my trend at the moment! Your fave season for dressing and why? My favourite season is definately Summer! Being a mummy I try and spend as much time outside.. I love babydoll and tea style dresses for this season! 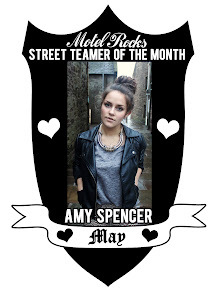 Best thing about being part of Motel street team and why you love Motel? The best thing about being a street teamer is giving my promo code to all of my friends and students! They love getting a discount on their orders and I always tell them about new arrivals / hot prints Motel are renound for! My sisters and friends also love me as they get little gifts from me! 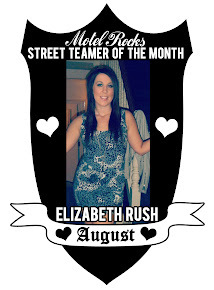 Well done Elizabeth! 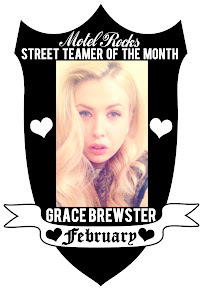 We can't wait to see who will be Januarys' Street Teamer of the Month! 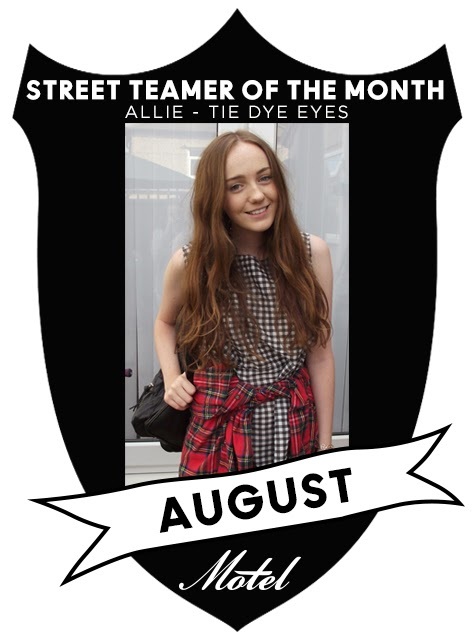 Street Team Fave Threads Polyvore Board Winners! 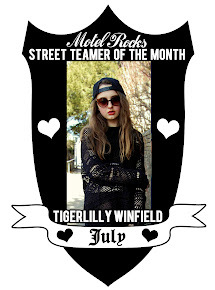 We asked our Street Teamers to make Polyvore Boards of their Fave Motel Threads, and here were the winners! We loved looking through the boards, so stylish, so creative, so Motel! Well done to the girls who entered and super well done to the winners! 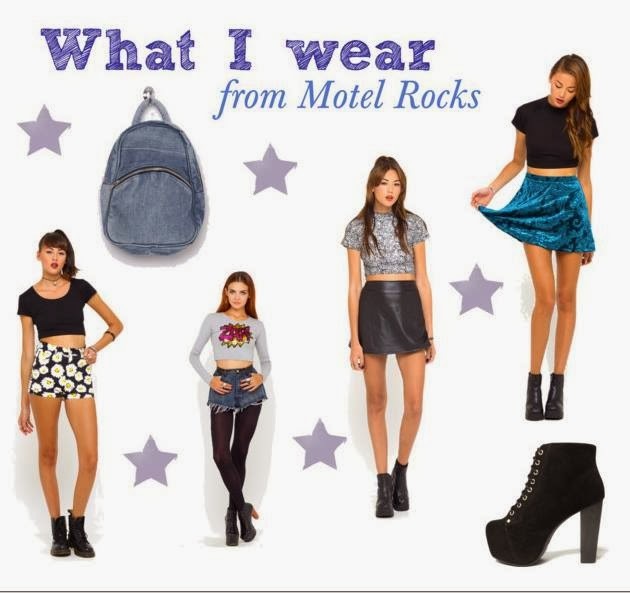 If you want to check out Motel's Polyvore page for some extra outfit inspo, click here!